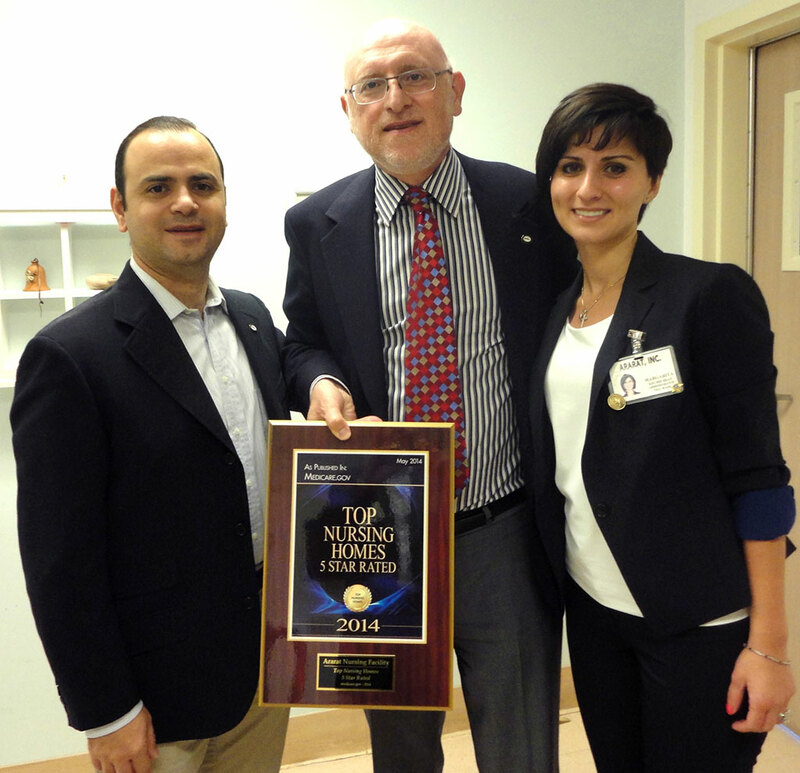 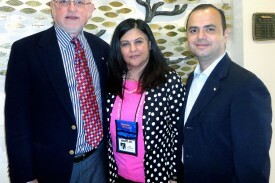 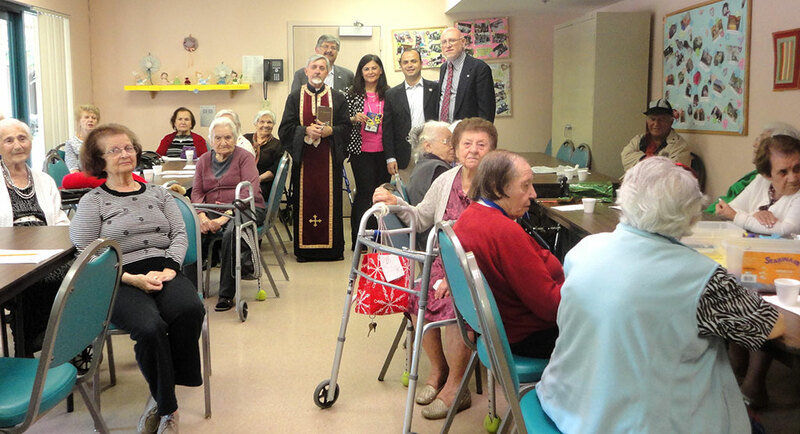 Honorable Zareh Sinanyan, the recently-elected Mayor of Glendale, visited Ararat Home in Mission Hills, on May 21, 2014. 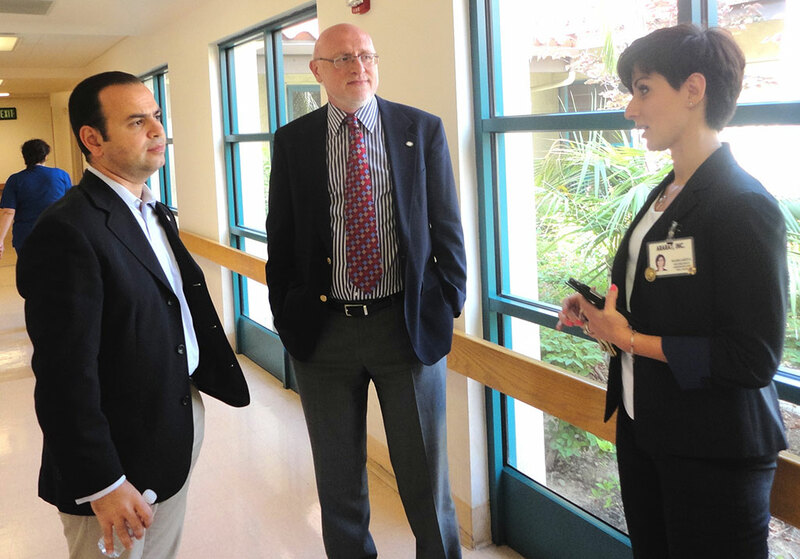 He toured the campus accompanied by Board of Trustees Chairman Joseph Kanimian, Esq., and Chief Operating Officer Derik Ghookasian. 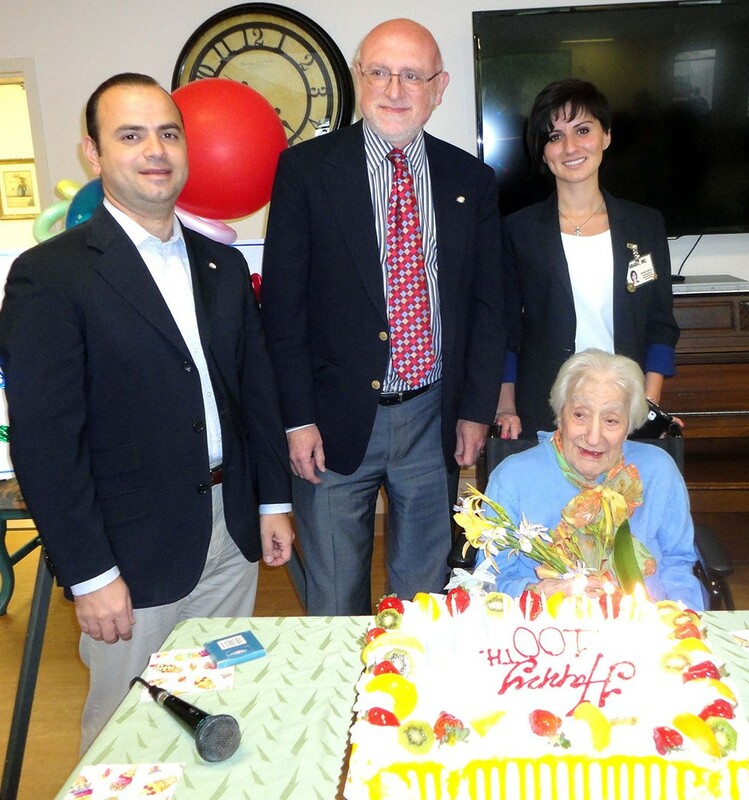 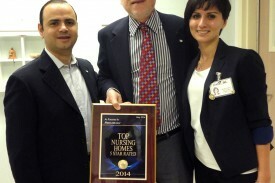 Ararat Nursing Facility prepared a small reception for him, where Administrator Margarita Kechichian explained the quality of care provided at the facility and displayed the recently acquired certificate from Medicare verifying the facility’s top, 5-star rating. 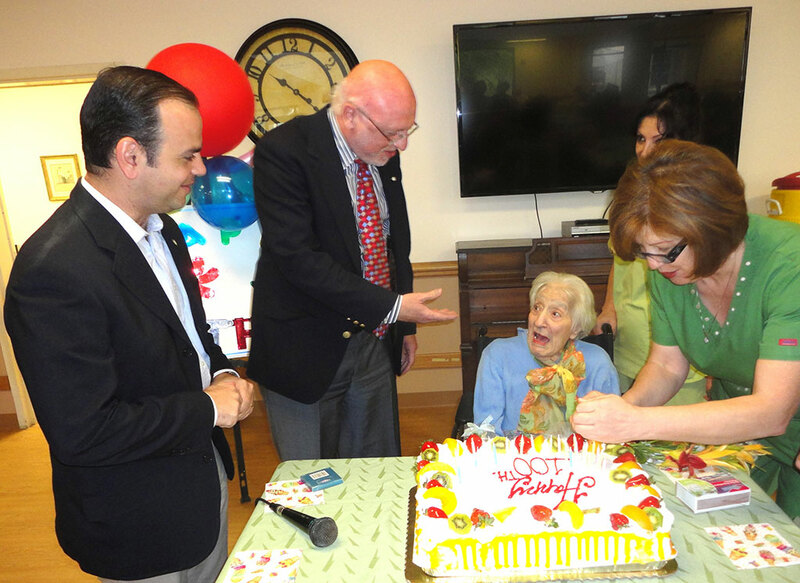 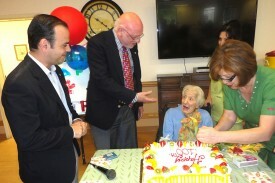 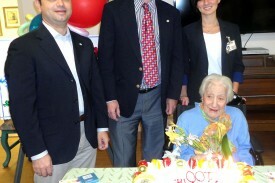 While there, the mayor joined the 100th birthday celebration of one of the residents, Alice Swaringen. 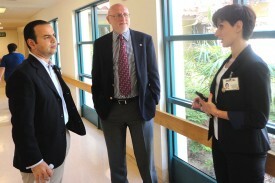 The mayor next met with Administrator Rita Noravian and toured the Assisted Living Facility. 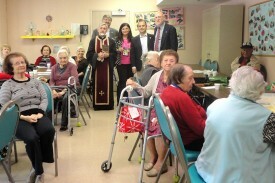 He greeted residents, who were gathered in the activity room for a Bible study session led by Archpriest Fr. 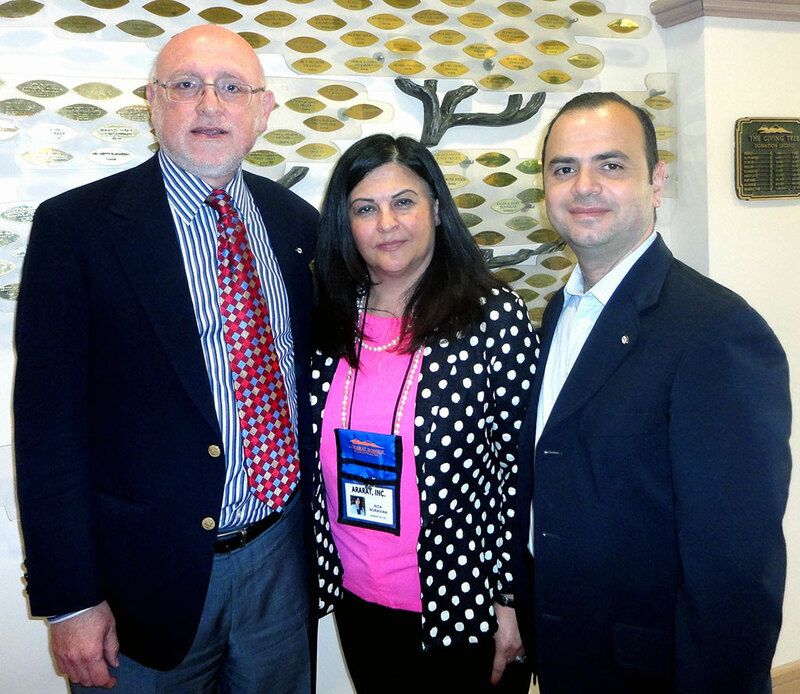 Hovsep Hagopian. 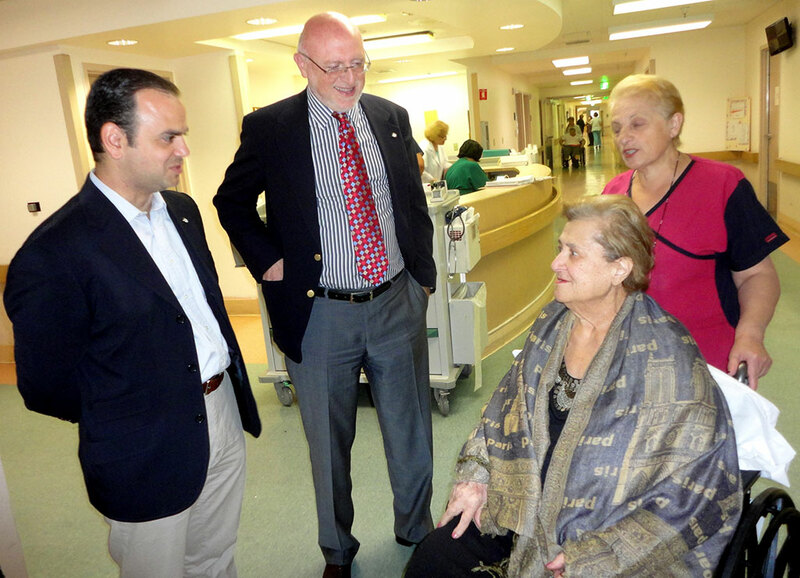 Upon also visiting Sheen Memorial Chapel and Ararat-Eskijian Museum, Mayor Sinanyan remarked that he was truly impressed by the scope of work done at Ararat Home. 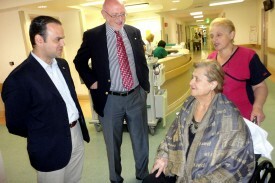 He stated that unless one visits Ararat Home, one cannot appreciate the treasures housed in the museum and the scale of exemplary care provided to residents at the Home. 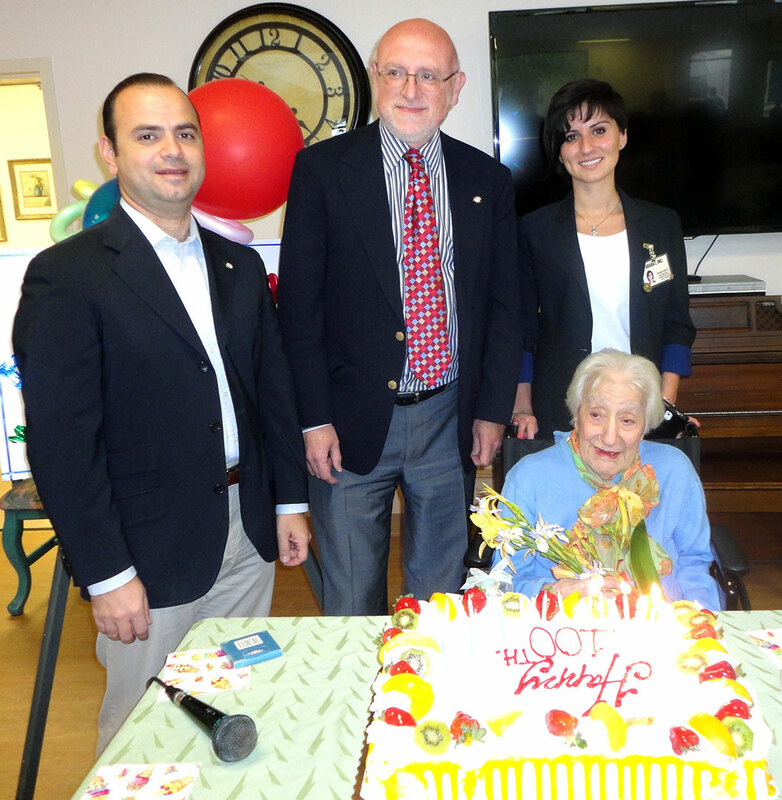 Mayor Sinanyan thanked Mr. Kanimian and the Ararat Home staff for the warm welcome and pledged his support to the continuation of Ararat Home’s mission.